Here, I lay out the basic view of the Bible, the Reformation, and the Westminster Assembly on lawful ordination of elders. I affirm and reject some previous thoughts around this topic of lawful ordination. This is going to be a difficult paper to work through because the topic is relatively unknown in contemporary Christendom. I am going to admit that right at the outset. It is a brief overview of the lawful ordination of ministers. I hope, though, to demonstrate, at least cursory, that the view that I am setting down here was not uncommon to the Bible, the Reformation, the Westminster Assembly (especially the Scottish Commissioners). It is, though, a tough subject that is almost never discussed, at least not publicly. That means that though it may be theologically viable, it has sat hidden in the deep dark corners of theological circles for a long time. 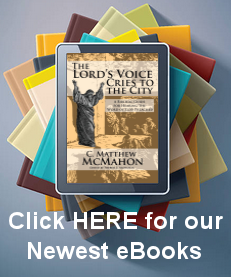 Little, overall, has been written on this ecclesiastical subject in the last 125 years. Instead, the rebellious culture in which we live – one that prides itself in being “non-authoritarian” – has introduced secular appeal into the church and has secularized its form of church government, reducing it to a byword. Churches today are not concerned so much with their ecclesiology as they should be. So long as the masses are pleased with what is status quo, introducing waves will simply disrupt the “ecclesiastical machinery” that most churches run under. Here, it is inevitable that I will create a wave or two. I will confess, if this paper was given to me 5 years ago, I would have thought the person who wrote it was fanatical, and possibly theologically “outlandish”. Sometimes overcoming foreign theological ideas are simply part of the maturity process that God brings Christians through throughout their life. Everyone is sanctified on God’s timetable, but that does not mean that God is happy with every formulation we have while that process is going on. We have many things we think are biblically accurate that are just wrong. In God’s time, He conforms us to the truth, and the regula fidei (the rule of faith) that the Church has always taught and believed. God has a plan for that conformity, and all theological errors will fall by the wayside one by one as we mature in Christ. They will finally be removed in our complete sanctification in heaven. As Paul says, God wants us to “stand mature and fully assured in all the will of God (Colossians 4:12).” Peters says, “But grow in the grace and knowledge of our Lord and Savior Jesus Christ (2 Peter 3:18).” Growing implies the need for growth. Praise God that He has given us the Holy Spirit and has raised up pastors and teachers throughout the history of the church to guide us into a more exegetically responsible systematic and biblical theology of the Bible. If you ask me now what I think about the subject at hand, I would say that my view on this has radically changed in comparison to my views on ecclesiology many years ago. The Holy Spirit, through the Scriptures, again, have arrested me to the point that I must make an affirmation and a rejection of a certain ecclesiastical concepts that I once held. The question revolves around church government and lawful ordination. The concept of government in general presupposes coercion. Coercion is the use of power to force someone to do something they do not want to do. A basic dictionary demonstrates the idea: “government” is defined as “the organization, machinery, or agency through which a unit exercises authority and performs functions and which is usually classified according to the distribution of power within it.” Government is force. No matter what government we are talking about, government means that someone is being governed. Government never rules by suggestion. The government does not say “We think this would be a good idea,” and allow the people to decide. Rather, Governments say, “This is what shall be done and what shall be law.” Governments do not suggest, they enforce. This would obviously be true for church government as well. Christ’s authority is exercised over His church in the capacity of establishing men for the ministry. Christ governs his church through ordained elders. This has a direct bearing on one’s view of church government, and one’s view of how Christ exercises His authority in the church. This paper is not meant to be a full-orbed explanation of the Bible’s view on ordination and church government, or the view of the Reformation or the Westminster Assembly. This is a retraction of sorts, and a rejection of error. A full discussion of this topic will appear in book form at a later time. Question posed: What am I affirming and what am I rejecting in terms of lawful ordination and church government? It is important here, to be very clear. I do not want to be misunderstood, nor do I want those reading this to misconstrue or twist anything I am about to say. I affirm the Presbyterian form of church government believing that system to be demonstrated in the Scriptures, both by the foundational Old Testament ideas held therein, the accounts of the Gospels, the early church in Acts, as well as the epistles. I reject all forms of Independency as schismatic, and as dissenting from Christ’s Church. This does not mean that I believe all Christians who are part of a Baptist congregation or Independent congregation are not saved, or heretical, or totally apostate. Rather, it does mean that I believe them to be in grave error as to church government, rejecting the lawful authority of Christ and His governmental rule over His Church. This brings specific consequences upon the lawful ordination of men in those churches, in opposition to the Presbyterian ordination seen as exercised in the Scriptures. With that said, I reject Independency and Independent ordination as invalid, and unlawful, and repent of having believed such was both viable and lawful. Only Scripturally ordained elders can lawfully ordain other elders. This is where I believe Independency and Toleration break down. If Presbyterianism is correct in its ecclesiology, then Independency is not correct, and thus, it is schismatic and dividing Christ’s Church. It promotes a structure that is foreign to the Bible, and thus, those who are “ordained” in those churches are in fact not ordained lawfully, and not lawfully called to partake and exercise those privileges. Only lawfully ordained men, under Christ’s authority through the apostles, and subsequent elders of the church, are permitted to exercise the rights and ecclesiastical keys of the kingdom. It is with the laying on of hands (Hebrews 6:2) by the eldership coupled with a lawful call to the ministry and the gifts and graces to perform that ministry, that men are ordained. 1 Timothy 5:22 states, “Do not be hasty in the laying on of hands,” and 2 Timothy 1:6 says, “For this reason I remind you to fan into flame the gift of God, which is in you through the laying on of my hands.” Thus, if there are not “lawful elders” to ordain, and “a lawful call” as recognized by the church, there cannot be “a lawful ordination.” The question arises, “Who, then, ordained the first Independent minister?” The next question is, “How do Independents, who are schismatic, lawfully ordain others?” Thus, “Can one who is not really ordained ordain another?” This is the crux of the ecclesiastical problem of church government. Independency rests ecclesiastical ordination in the hands of the congregation, believing that the power to ordain is inherent in the church – the people of the church – not simply in the elders who are simply part of the overall church. Presbyterianism believes that ordination is given strictly by the authority of Christ to ordain apostles, then a lawful authority given to them in the keys of the Kingdom as overseers of Christ’s church to ordain elders, and then those elders to ordain other elders, and so on. However, power to ordain does not give Presbyterianism the right simply to ordain because of apostolic succession (like the Roman Church who ordains based on “right to ordain alone.”) Instead, there must be a lawful calling recognized by the session, and then only those true elders can ordain other elders by the laying on of hands for the ministry to which these men are called. The congregation may, if need arises, bring an objection to the session as to some reason why this person should not be ordained, and then the session considers that. On the other hand, ruling elders are nominated by the body to be installed in the official office, though, again, the session has the final word – they are those that govern the Church. It is a mute point for people to argue that this resembles apostolic succession as in the Roman Catholic Church. That is a judgment based on a very illiterate ecclesiology, poor church history knowledge, and very bad case of shortsightedness. Instead, proper ordination reaches from Christ in succession (ministerial succession)through His appointed men who are both gifted and called, and recognized, to enter the office. As Paul says in Ephesians, “And he gave the apostles, the prophets, the evangelists, the pastors and teachers (4:11).” Christ did this, not the congregation. I would like to overview three things briefly by way of explanation here to demonstrate why I reject my own previous ordination: 1) what the Bible says about lawful ordination and ecclesiology, 2) what the Reformers thought since they were accused of being schismatic from the Roman Church and how that played out in relation to the question of lawful ordination, and 3) what the Westminster Assembly thought on the subject since it comprised a huge amount of their time in debate between Presbyterians and Independents. Again, this will not be exhaustive, but simply an overview of the material for what has historically been understood as Ministerial Succession. What government has Christ ordained in the Church of Jerusalem and the rest of the early churches, to be a pattern for all time? The answer to this is the Presbyterian form of Government, not the Independent form of suggestivism. To the common counsel of Apostles, Presbyters, or elders, Christ gave the keys of the kingdom (Matthew 16:19). That was the government given to the church as plainly appears throughout the Bible – a plurality of elders. Acts 14:23, “And when they had appointed elders for them in every church…” Acts 20:17, “Now from Miletus he sent to Ephesus and called the elders of the church to come to him.” Titus 1:5, “This is why I left you in Crete, so that you might put what remained into order, and appoint elders in every town as I directed you…” 1 Timothy 5:17, “Let the elders who rule well be considered worthy of double honor, especially those who labor in preaching and teaching.” Hebrews 13:7, “Remember your leaders…” Hebrews 13:24, “Greet all your leaders and all the saints.” 1 Peter 5:1, “So I exhort the elders among you, as a fellow elder and a witness of the sufferings of Christ, as well as a partaker in the glory that is going to be revealed…” 1 Peter 5:5, “be subject to the elders.” James 5:14, “Let him call for the elders of the church…” The one Church has a plurality of elders that govern individual particular congregations. Were there many congregations in the early church or just one congregation? Is the church one or many? We know that there were thousands of converts by John the Baptist, by Christ, by the Apostles, by the seventy, and other elders in the early church. (cf. Matthew 3:1-2, 5-6; 7:12; Luke 16:16; John 7:31; Acts 4:4, and etc.) It would be impossible for these tens of thousands to meet in one place. The church at Jerusalem was too large to adequately care for all these people, nor were there proper “facilities” to house all of them at a given time. Thus, these believers were dispersed into several congregations, though called “the Jerusalem church.” New churches were not built that were independent or different than the Jerusalem church, but they met from “house to house” under the authority of the apostles and elders there. In Acts 8, many assert that these tens of thousands were scattered (Acts 8:1-3), but it was the ministers that are spoken of, as the Scriptures assert in Acts 8:4, “Now those who were scattered went about preaching the word.” Those set apart to that office have the privileges to do so. The Apostles did not leave Jerusalem and ministered to the saints there. Though Christians witness to a lost world, that is not the same as being lawfully set apart for preaching. Who governed, ordered, and ruled this Church since it consisted of so many congregations scattered about the area? Were these independent churches? The Apostles and the elders ruled and ordered the one Church. This is seen in various Scriptures. Acts 15:2, “And after Paul and Barnabas had no small dissension and debate with them, Paul and Barnabas and some of the others were appointed to go up to Jerusalem to the apostles and the elders about this question.” Acts 15:28, “For it has seemed good to the Holy Spirit and to us to lay on you no greater burden than these requirements…” Acts 16:4, “As they went on their way through the cities, they delivered to them for observance the decisions that had been reached by the apostles and elders who were in Jerusalem.” Acts 21:25, “But as for the Gentiles who have believed, we have sent a letter with our judgment that they should abstain from what has been sacrificed to idols, and from blood, and from what has been strangled, and from sexual immorality.” The Jerusalem Church ordered and governed all other congregations that stemmed from that epicenter. This is why Paul will refer to those leading the church as “ambassadors for Christ (2 Corinthians 5:20).” Peter himself demonstrates he is a “fellow elder” (1 Peter 5:1-3), and 2 John verse 1 says, “The elder to the elect lady and her children…” Paul does the same in 1 Timothy 4:14 and 2 Timothy 1:6, “Do not neglect the gift you have, which was given you by prophecy when the council of elders laid their hands on you…which is in you through the laying on of my hands.” Paul was one of the elders of the Presbytery. The church at Jerusalem consisted of many congregations, which made one Church, and that one church distributed into those particular assemblies was governed by a common council or presbytery. Independency does not follow this model at all. Instead, they create individual churches that have no interconnection between one another. This is not the model of order that God set up in the church. Instead, going beyond what is written (1 Cor. 4:6) Independent churches assigned the entire right of government to each local congregation. Power, then, rests in the hands of the members, instead of in the hands of Christ’s authority through His pastors and teachers. The only people in Christ’s church that have authority to bind and loose, or administer the sacraments (baptism and the Lord’ Supper), or gather in the flock of Christ under the lawful preaching of the Word, or sundry other pastoral duties, are the Apostles, and elders of the church lawfully ordained and sent of Christ (Matthew 28:19-20; Mark 16:15-16; Acts 26:15-20; cf. with the Scriptures presented above as to the plurality of elders and the laying on of hands of the eldership.) One may ask, “Did John the Baptist, Christ, the Apostles, or elders of the early church every ask people to join their “respective” congregations? Or was it one Church?” The answer to this is self-evident since the biblical picture never affords them of creating separate congregations in this way. This is exceedingly important for the practical and doctrinal considerations surrounding the concept they had of the Church. Those who would oppose a lawful call to ordain themselves, Turretin says, “An usurpation of the ministry which is made without any right is always unjust and unlawful; but the use of a right cannot be unjust. The Reform­ers cannot be called usurpers because the church at every time has the right to call pastors for her own edification, although all the rites otherwise received can­not be employed.” He then says, “Although God has not expressly said that in extraordinary cases it is lawful for the pastoral power to be communicated in another way than by the or­dinary ministry, it does not follow that this cannot be done. The institution of the ministry being once made in the church (which ought to continue until the end of the world) gives a sufficient right to the church of always conserving, re­forming and erecting it anew (if it is corrupted and extinct), so that there is no need of a new command for it; as the precept which he gave to the church and to believers concerning the preservation of the truth obliges her when to reform herself—when she finds that she has departed from the truth. The same com­mand embraces both things: the preservation of the truth and the restitution of it when corrupted.” Independency, though, is not his point. Remember, Turretin is defending the Reformed Church about the calling of the first Reformers, which happened out of extreme necessity and duress, and which demonstrated, still a lawful call and ordination. The Reformers, then, were not schismatics. Rather, as Rome indoctrinated an official position against the gospel, they withdrew from the true church that the Reformers were continuing to propagate under the Gospel. Those who were truly schismatic were the Roman Catholics. As to their position on lawful ordination, Calvin is helpful here. Calvin’s judgment is that all pastors have the same and equal Authority in Ordination. They are called to the same function and alone have the ability as ordained men to ordain others as Christ properly calls others to the office. This he calls the “Power of Ordination.” Explaining this he says, “This is the manner of fulfillment: through the ministers to whom he has entrusted this office and has conferred the grace to carry it out, he dispenses and distributes his gifts to the church; and he shows himself as though present by manifesting the power of his Spirit in this his institution, that it be not vain or idle (Institutes, 4:3:2).” He frequently says that pastors, though they are administering in their respective assignments, are building up the “church” (4:3:7). He says, men who are called, are called in an orderly manner according to the power of ordination in the Church, “But while “all things should be done decently and in order” [1 Corinthians 14:40] in the holy assembly, there is nothing in which order should be more diligently observed than in establishing government; for nowhere is there greater peril if anything be done irregularly. Therefore, in order that noisy and troublesome men should not rashly take upon themselves to teach or to rule (which might otherwise happen), especial care was taken that no one should assume public office in the church without being called. Therefore, if a man were to be considered a true minister of the church, he must first have been duly called [Hebrews 5:4], then he must respond to his calling, that is, he must undertake and carry out the tasks enjoined (4:3:10).” Calvin then says that, “men” choose others for the office, “What was the purpose of that setting apart and laying on of hands after the Holy Spirit attested his choice, except to preserve church discipline in designating ministers through men? (4:3:14)” Those in the church spy out men who are gifted by the Holy Spirit to perform the tasks of the ministry, and they are ordained by the elders of the church. The church does not ordain, rather the church may note the gifts and graces that have been given to a man by Christ, or the lack thereof, and then the elders have the right to ordain other elders, or not to ordain based on good or bad recommendations. Calvin says, “It is clear that when the apostles admitted any man to the ministry, they used no other ceremony than the laying on of hands, I judge that this rite derived from the custom of the Hebrews, who, as it were, presented to God by the laying on of hands that which they wished to be blessed and consecrated. (4:3:16)” He goes on to say, “this was the solemn rite used whenever they called anyone to the ministry of the church. In this way they consecrated the pastors and teachers, and the deacons. (4:3:16)” Calvin is following the early church’s model, and goes on later to quote Cyprian on this issue. In 4:4:14 he follows the “procedure of ordination” which he says there should be at least 3 presbyters that ordain another so as to add in a checks and balance issue over the candidate being ordained in case some travesty or special consideration follows. In this procedure he is simply following the council of Carthage in canon 39. He then goes on to demonstrate how the Roman See overthrew the true church and turned the ordination of ministers into a great abuse. Historically, it is very easy to see that the Reformed Church was one of lawful Presbytery, and the divine right of Presbytery. The massive amount of information written on this issue of church government in England from 1643-1648 rises into the tens of thousands. It is an amazing number given the printing press abilities in the day. However, the issue of lawful ordination was exceedingly important to the Westminster Assembly since their purpose was to meet and devise a single governmental structure which followed the Word of God and the best Reformed churches of both the Reformation and the modern day Church in various countries throughout the world. England, Ireland and Scotland (the Island) bound together to set down a proper confession of faith and form of church government. Among the representatives of ideas at the Westminster Assembly were Erastians, Independents, Episcopalians and Presbyterians. The Assembly bound themselves together upon the arrival of the Scottish Commissioners by the Solemn League and Covenant which demonstrated their desire to set down the true points of doctrine which is attest by the word of God and the Reformed Church. In the first paragraph of the Solemn League and Covenant they said, “That we shall sincerely, really, and constantly, through the grace of GOD, endeavor, in our several places and callings, the preservation of the reformed religion in the Church of Scotland, in doctrine, worship, discipline, and government, against our common enemies; the reformation of religion in the kingdoms of England and Ireland, in doctrine, worship, discipline, and government, according to the Word of GOD, and the example of the best reformed Churches; and shall endeavour to bring the Churches of GOD in the three kingdoms to the nearest conjunction and uniformity in religion, Confession of Faith, Form of Church Government, Directory for Worship and Catechising; that we, and our posterity after us, may, as brethren, live in faith and love, and the Lord may delight to dwell in the midst of us.” First, they were covenanted to uphold “the preservation of the reformed religion in the Church of Scotland” which was Presbyterian. Second, they did this “according to the Word of GOD” and “the example of the best reformed Churches.” There was no loophole here as if to say “only according to the Word of God” and not by the example of the best Reformed churches”, rather, it was set down as covenanted to preserve the religion seen and exercised in the church of Scotland. That was the purpose, and the means to that end was the exegesis of the Assembly from the Word of God and the experiences of the best Reformed Churches already in existence throughout the world. Those not holding to Presbyterianism in the Assembly did their best in filibustering the progress of the Assembly, and to retard the process of inaugurating, officially, Presbyterianism. This was the usual tactic of Nye, Burroughs, Goodwin, Bridges and others of the like persuasion. The Westminster Assembly set forth their exegetically based ideas in the document The Form of Presbyterian Church Government. They begin this document by stating, “There is one general church visible, held forth in the New Testament.” Of this one church, are made up particular churches throughout the world. Over this one Church there are officers, called pastors, teachers and deacons. These are expressly given authority to rule in their respective offices, the keys of which are given to pastors and teachers to govern the Church authoritatively under the headship of Christ’s authority. These men are ordained to office by lawful ordination. They say, “No man ought to take upon him the office of a minister of the word without a lawful calling.” This lawful calling is substantiated by the church, and then is approved by the presbytery of elders. They say, “Every minister of the word is to be ordained by imposition of hands, and prayer, with fasting, by those preaching presbyters to whom it doth belong.” The power of ordination does not rest in the hands of the congregation to vote a minister in or out, but rather in the hands of those whom Christ gave authority to lawfully ordain. Without this system, government becomes “suggestion” and overthrows the authority of Christ to rule His church through the ordained means He has given. In the beginning of the work Jus Divinum Regiminis Ecclesiastici (The Divine Right of Church Government) written by the London Ministers (i.e. the Presbyterians of the Westminster Assembly) there is a comparison that they included demonstrating the inherent differences between the two most prominent attempts at church structure: Independency and Presbyterianism. No other visible Church of Christ is acknowledged but only a single Congregation meeting in one place to partake of all ordinances. The matter [members] of their visible Church must be (to their utmost judgment of discerning) such as have true grace, real saints. The Churches [are] gathered out of other true visible Churches of Christ, without any leave or consent of Pastor or flock, indeed against their wills, receiving such as tender themselves, indeed too often by themselves or others, directly or indirectly seducing disciples after them. Preaching Elders are only elected not ordained. The Subject of Church-government is the coetus fidelium or community of the faithful. The Church-officers act immediately as the Servants of the Church; and are deputed thereby. All censures and Acts of Government are dispensed in single congregations ultimately, independently, without all liberty of appeal from them to any superior Church-Assembly; so the parties grieved are left without remedy. There are acknowledged no Authoritative Classes or Synods, in common, great, difficult cases, and in matters of appeals, but only suasive and consultative, and in case advise is not followed, they proceed only to non-communion. One general visible Church of Christ on earth is acknowledged and all particular churches and single congregations are but as familiar parts of the whole. The matter [members] of the invisible Church are only true believers, but in the visible Church [there are] persons professing true faith in Christ and obedience to him according to the Rules of the Gospel. Parochial Churches are received as true visible churches of Christ, and most convenient for mutual edification. Gathering Churches out of Churches has no footstep in Scripture, is contrary to apostolic practice, is the scattering of Churches, the daughter of schism, the mother of confusions, but the stepmother to edification. Preaching Elders are both elected and ordained. Ruling Elders only rule and do not preach (1 Tim. 5:17). The Subject of Church-government is only Christ’s own Church-officers. The Church-governors act immediately as the Servants of Christ and as appointed by him. All Censures and Acts of Government are dispensed in Congregational Presbyteries subordinately, dependently, with liberty of appeal in all Cases to Presbyterial or Synodal Assemblies; where parties grieved have sufficient remedy. There are acknowledged, and with happy success used, not only suasive and consultative, but also Authoritative Classes And Synods in case of great importance, difficulty, common concernment or appeals; which have power to dispense all Church-censures, as need shall require. This is the sum of the Presbyterian governmental structure over the Independent suggestive structure. Church government in a fallen world must be more than simply “suggestive” in its attempt at Reform. Jure Divino says in chapter 1, “Jesus Christ our Mediator has the Government (both of the Church and of all things for the Church) laid upon his shoulder (Isaiah 9:6) and to that end has all power in heaven and earth given to him (Matthew 28:18; 1 John 5:22; and Ephesians 1:22)…hence it comes to pass, that the governing and Kingly Power of Christ has been opposed in all ages, and especially in this [age] of our’s, by quarrelsome Queries, brangling disputes, plausible Pretenses, subtle Policies, strong self-interests, and pure violent willfulness of many in England, even after they are brought under the Oath of God to reform Church-government according to the Word of God.” Thus, based on the Solemn League’s intention to set forth a correct governmental structure, all others have dissented from the church, and are schismatic. “Otherwise,” they say, “the church would become a mere Babel and Chaos of confusion, and in far worse condition than all other human societies in the whole world.” As a result, in various documents written by the London Ministers commenting on the Divine Right of Church Government, they continue to say that Independency, then, is not to be tolerated, and is a rotten foundation on which to build. Instead, the keys of the Kingdom are given by Christ to the Church, i.e. the Apostles and those they lawfully ordain to continue the rule of the church, to propagate His rule for all time until the final consummation of the ages (exegetically consider Matthew 16 and 18 with Ephesians 4:10ff). As a result of this very brief overview, setting forth publicly my agreement with the former thoughts, I have no choice but to reject Independency as unlawful and in error, which has a direct bearing on my former views of church government and views on ordination of elders. A lawful ordination must follow a lawful calling to be properly fitted for the governmental office. On the contrary, such a usurping of authority is not consistent with the biblical evidence of eldership and the laying on of hands from those duly authorized to ordain others with the power of ordination. Rather, Independency follows Brownist and sectarian theology that was historically deviant and demonstrated a primary characteristic of division rather than unity. This brings into question the following problem. Churches that function outside the prescribed governmental structure (the jure divino of Christ) are sectaries and schismatic from the Church of Christ. If the former principles are true (and I believe the Scriptures demonstrate them as true, as well as the demonstration of Scripture in the best Reformed Churches through history) then, 1) Independent Churches do not function as properly governed churches and subsequently are schismatic congregations of the visible church, and 2) the leadership in such churches are not following the government of biblically ordained ministers jure divino (and so are taking up the duties of an elder without having the authority to do so). Such an illicit office, as the Westminster Assembly concluded, is not to be tolerated. Rather, they said, that ministers should not “tolerate error” which “men of corrupt minds have run into.” This is to leave “every man to his own fancy, and the vineyard of the Lord without a hedge.” This was the fault of those who had “forgotten the oath and covenant of God” to uphold the Word of God and the example of the best Reformed Churches, and demonstrate themselves as those who have perjured themselves against such an oath (A Solemn Testimony Against Toleration, Scottish Commissioners, 1649). Instead, they desired to see these ministers give “evidence of repentance” and to throw off the “snares” they had fallen into (Act Concerning the Receiving the Engagers in the Late Unlawful War Against England, 1649). It was, to the Westminster Assembly, a “horrible Sacrilege to throw down Christ from his own throne” (Form for Church Government, 1647). The reader should note that I am not stating that those in ministerial situations outside proper church government and the Church are not gifted or graced with the proper non-negotiable qualifications for such an office. However, I am saying they should not be active in that role unless they are properly ordained by the Form of Presbyterian Church Government as outlined in the Westminster Standards in order to function under the governmental rule of Christ, and not a self-created role, or a congregational role that holds no power to ordain. They should be properly set apart by the Presbytery, not a local autonomous congregation, and lawfully called and ordained. Otherwise, as the Westminster Assembly pressed time and time again, all manner of toleration ensues and it becomes an ecclesiastical free for all usurping Christ’s authority. Independency attempts to apply the authority of the church from Christ to the church as a whole, instead of to the government of the church. As a result, the church (each individual congregation) holds the inherent right to continue their existence at any time they so deem it. However, this misrepresents the power of Christ to continue to bless church for the good of the church, not the imaginary ability of a congregation with inherent powers to promote the church to continue their own church. Christ holds the government of His church on His own shoulders and will raise up men to lead the church as He deems fit. To assert otherwise, or to transfer power from Christ to the church as a whole is to misrepresent His government as equally given upon the whole congregation. Thus, if the church has a membership dominated by young women and voting takes place to assert officers (or anything in the church), those who are actually making decision for the church are those young women. They have the inherent right to out-vote the leadership, and everyone else. Church government, on the other hand, is theocratic not democratic. It rests on King Jesus, not the congregation. Thus, the question is asked, what would a congregation do if there was no elder to lead them? Should they go without and wait for Christ to set among them a minister of the Gospel duly ordained? Under the most extreme duress of the church, and extreme crisis, there are some who believe that a church may elect a minister to guide them. Such a time was during the Reformation, for example. Yet, as we have already seen through Calvin and Turretin, the lawful call of the Reformers was in fact true and real since a church appointed them that was not yet apostate, and the marks of a biblical church were present in the Gospel and in doctrine. To say, then, that there remains other extreme examples of this is to twist the idea to suit congregationalism instead of reliably searching church history for another example of “extreme crisis.” Fortunately, Christ has never left His church without leaders, gifted and graced with ability, and the lawful ordination they must have to minister in His name. Even the writings of the Reformation demonstrated the exceptional ability of the Reformers in their lawful call, and the lawful ordination of most of them in the Roman Church before it apostatized. If some extreme duress existed, Christ would soon provide for His Church in that extraordinary situation as He has always done. But it is a grave error, a horrible sacrilege, to say that every congregation may deem their own structure as they see fit, especially in our day and age where extreme duress does not exist. Also, another objection that arises around Westminster conclusions is that the idea of what was considered “Reformed” at the time of the Solemn League and Covenant was not yet set in stone. However, both the Scottish Commissioners, as well as the theologically literate writers since the time of the Reformation knew exactly what Reformed meant in contemporary Christendom from the time of Calvin’s Institutes until the Westminster Assembly. The Independents, then, would be considered schismatic from the first, and falsifiers of certain information since they willingly signed the Solemn League document to uphold both the Word of God on the issue as well as the government of the best Reformed Churches. Even Jochaim Westphal (a Lutheran Theologian) in debating Calvin on theology, coined the term that stuck based on Calvin’s understanding of the Bible, and knew what “Reformed” meant. Those who followed Calvin’s sacramental theologies, his form of church government in Geneva, and the Institutes’ theology, were known as “Reformed”. Thus, the Reformed churches in the European sector, apart from The Island, had a very clear understanding about what they thought “Reformed” meant. The Scottish Commissioners knew it as well, and this was why they pressed the Solemn League and Covenant on the Westminster Assembly before they set forth to work out the theology behind what they knew was “Reformed” all over the continent. What, then, do we do with the biggest problem of all – which “form” of Presbyterianism should be followed? Should we consider the Presbyterianism of the Free Presbyterian Church of Scotland, the Associated Presbyterian Church of Scotland, the RPCNA, RPCGA, PCA, or OPC? These Presbyterian denominations do not practice all of their Presbyterianism in the exact same manner. Unfortunately, some Presbyterian denominations (not necessarily stated above) reflect an “Americanism” which is the same as saying “Independency” to the manner in which they conduct themselves. Are there any Presbyterians that are true Westminster Presbyterians following The Divine Right of Church Government as the English and Scottish Church did of the day and the Reformed churches before them? There seems to be a lack of this today. It would be best to follow the Westminsterian ideas surrounding church government, and the work provided in commentary by the London ministers. But idealism is often never the case win contemporary America, much less having the whole planet unified on these principles. The basic beginning to determining the answer to this problem is to adhere to the Westminster Confession of Faith and its Standards as exemplifying the biblical picture of church government. Without first setting that standard in place, there can be no unity or progress in going back to what the Westminster Assembly believed to be true about this issue. To say that one holds to the Westminster Confession of Faith, and reject their conclusions on important matters such as government, is to really reject the Confession, or give lip service to it. It would be better for denominations who have taken a different view of the Westminster Confession of Faith to simply say they reject the Westminster Assembly’s conclusions, and use a confession of their own making officially, as they are already doing practically. However, if they were to do this, they would, by their actions, become independent. So instead, they live in happy contradictions. It is my intention to write a full account of this issue, as I said, in book form at a later time. It will specifically focus in on the Westminster Assembly and the debate that ensued between the Presbyterians and Independents. This was officially entitled The Grand Debate. The historical outcome was in favor the Presbyterian form of government, and the condemnation of all forms of schism and sectarianism, which is the inevitable consequence of Independency. Sources for further reading are somewhat difficult to come by since most of the information still resides in original form, published in the mid-seventeenth century. If, however, you have the ability to gain the Still Water Revival CD Sets on the Puritans or Reformation, if they are available, that is an excellent resource for the documentation on Toleration and Church government. Many of the original documents are on those disks in digital form. Thomas Cartwright, John Ball, Robert Ballie, Daniel Cawdry, Robert Derham, letters from the London Ministers, and the main works of the Independents and Presbyterians are available there for study. Some of Samuel Rutherford’s works (Divine Right of Church Government (John Field, London: 1646) and A Peaceable and Temperate Plea for Paul’s Presbytery in Scotland (Austin’s Gate, London: 1642)) as well as George Gillespie’s two volume Works directly speak about some of these issues in great detail and with exegetical prowess. Those may be available second hand, or in facsimile form. Also, Naphtali Press has published in book form the London Ministers’ Jus Divinum Regiminis Ecclesiastici: Or The Divine Right of Church Government (1995), edited by David Hall. Hall’s introduction to the work is very good, and having such a work in printed form is a blessing. I would highly recommend that work. There is no doubt in my mind that this is a difficult issue overall, and quite trying. There is so much information to cover, and so much history to deal with that it can be, at times, overwhelming. However, our theology must always guide our ecclesiastical relations and connections. Can the visible Church function for its good (bene esse, not esse) by rejecting Christ’s authority in the Church as Sovereign Lord over it? Can the visible Church continue unscathed without Christ’s authority? After 1000 years of rejecting Presbyterianism, the Roman Church ultimately became apostate. Is this an object lesson for us to consider today? These are daunting question that do have answers. As God grants us understanding, may we all be given the grace to endure the consequences, whether in affirming or rejecting things we should believe, or things we should deny.